DEAR OPRAH, PLEASE DON'T BROADCAST KATHERINE JACKSON INTERVIEW! Every child is born into this world innocent. It is disheartening that children suffer. It is especially heart-wrenching that they suffer in the hands of trusted adults. We understand you, we most definitely side with you that no child should suffer. The perpetrators should indeed be brought to justice. We do NOT condone child abuse, regardless of the stature of the perpetrator. That being said, you are dead-wrong about Michael Jackson. Michael Jackson wanted us to understand him. He granted a few personal interviews where he wide-opened his heart. You scored one of those interviews which garnered you your highest ratings to date. He answered every single question you asked of him. You burdened him with intrusive questions such as “are you a virgin?” He was too kind to decline your question and replied “I am a gentleman”. a 13 year old, why do you blast a man who was found NOT GUILTY? 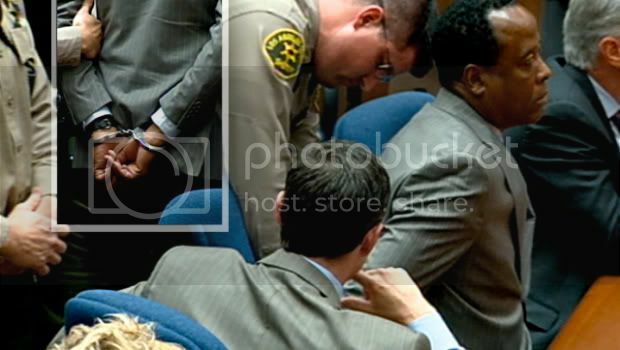 Michael Jackson was acquitted from ALL charges by a unanimous jury, despite of the elaborate and illegal tactics employed by a vengeful District Attorney who lived and breathed to “nail’ Michael Jackson. If it wasn’t for the fact that the 2005 Trial killed Michael long before 2009, we would have thanked Tom Sneddon for unwittingly proving Michael’s innocence beyond a shadow of doubt. You issued an apology to Robin Givings over something minor compared to your grave offense to Michael Jackson and you STILL owe him an apology for crucifying him during his trial and persecuting him post trial. After his death, prominent figures expressed their condolences over Michael Jackson’s death. He was a trailblazer for African-Americans in the Entertainment Industry and it was disheartening that as someone who is an influential figure in the African American Community, you failed to offer your condolences. While his untimely death shook the world, you went on as if nothing happened. Your silence was deafening. We feel that this was due to your false beliefs about Michael so we rained you with emails. Only after then, you announced that you would broadcast a “tribute” show which turned out to be a slap on the face. Michael was always kind & respectful to everyone, including members of the media. Instead of being lauded for his magnanimous personality & glorious accomplishments, he is lambasted by media only because he chose to close his eyes to the prejudiced portrayal of him and simply opened his pure heart. Your name was related, in the past, with struggle for freedom from oppression, abuse and prejudice. The public and especially Michael Jackson fans, hoped that you, of all people, would “get” Michael. But unfortunately you haven’t been able to put aside your own prejudices. You have been subtly bashing Michael Jackson for awhile now and we are perturbed by your thinly veiled contempt. Now you are chasing ratings, by hosting Lisa Marie Presley and Katherine Jackson. If you are NOT woman enough to issue a deserved apology, then why use the man to boost your ratings? As worldwide Michael Jackson fans, we invite you to right your wrong and issue an apology to Michael. It is only fair and it is long overdue. Michael Jackson’s death investigation and criminal trial is still ongoing. Jackson Family, in their grief, have shown less than prudent judgment while granting numerous interviews when their every word can and will be misconstrued by the media and in the court of law. Rating hungry networks are reaching out to Jackson Family to capitalize and often times, their remarks are misconstrued after skillful editing and innuendo-laden narrative. We are familiar with your modus operandi and we are deeply concerned that once again, you will use your worldwide platform to dishonor Michael Jackson. While it is ultimately the responsibility of the Jacksons to ensure that they don’t undermine the ongoing trial, we would like to appeal to media to please demonstrate some integrity and give the Jacksons their privacy. he was “the best daddy in the world”. He shielded his children from flashing lenses and he expressed in numerous interviews that he would like privacy for his children. While the responsibility lies with Katherine, the legal guardian of the children, to ensure that the children are raised away from public eye, we request that members of the Press display empathy and sound judgment in instances when the Jacksons may fail amidst their grief. It would be very distasteful of your show if images of Michael Jackson’s children are included in your upcoming Katherine Jackson interview. Please honor Michael the father’s wish for his minor children. Katherine and Joe Jackson are 80 year old. They may have showed a lack of judgment, granting this interview but ultimately it is your show. You have the final say in deciding whether to broadcast it or not. We appeal NOT the businesswoman but the human in you. Integrity above ratings. Please don't broadcast the Katherine Jackson interview. "What happened when Jackson was acquitted? Red faces? Second thoughts? A little soul-searching, perhaps? Maybe an expression of regret for the rush to judgment? Naaawww. Hell hath no fury like a cable anchor held up for scorn"
FRANK DILEO WASN'T REHIRED BY MICHAEL JACKSON! TO BUY OR NOT TO BUY MICHAEL's NEW ALBUM? MICHAEL JACKSON's TRUST DOCUMENT IS FORGED!